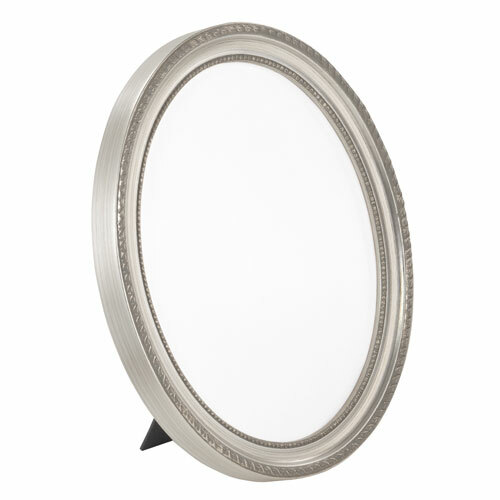 This tabletop oval frame has a classic profile with light ornamentation, finished in brushed bright silver. Please note: oval frame measurements list the maximum width and height of the frame. If you're framing a rectangular piece, the corners will need to be trimmed before installing into an oval frame. love the oval shape for a painting I am working on!